For over 35 years, Baltimore Lock & Hardware has been the premier choice for commercial lock and door supplies, and commercial and residential locksmith services. We provide experienced locksmith service to businesses throughout the Maryland region, including Washington D.C., northern Virginia, southern Pennsylvania, Baltimore City, and Baltimore County. Our showroom is conveniently located just minutes from downtown Baltimore and is fully stocked with a wide range of locks, access systems, hinges, hardware, and accessories. Our commercial locksmith services include master key systems, key duplication, lock replacement, lock repair, rekeying, and installation of a range of electronic access systems. We also service and install a full scope of commercial doors, including aluminum storefront, automatic door closers, and doors. Residential locksmith services include lock rekeying, door adjustments, duplicating keys, and lock repair. Businesses throughout the Baltimore-Washington, D.C. region have relied on the expert locksmiths of Baltimore Lock & Hardware for reliable, courteous service, and the experience to complete the job to the highest standards. We take great professional pride in the fact that much of our business comes from repeat or referral business from our satisfied customers. Reliable service is about more than just showing up on time and completing the job to high standards. It means you can count on us to resolve any issues that arise in the future. Our pricing is straightforward and fair, with no hidden charges. The highly-trained locksmiths of Baltimore Lock & Hardware have over 100 years of combined experience installing and servicing commercial doors, locks, and access systems of all types. Every commercial setting has its own unique requirements for security, aesthetics, and convenience. Our locksmiths can assess the situation and devise the ideal solution to meet your needs. Their experience working with a full range of lock and door types, combined with our extensive stock of products, means we can quickly and efficiently service your security needs on the spot. In many cases, our staff can determine the correct solution for your problem over the phone and send our technicians to the site with the correct parts in hand, saving you money on the service call. In addition to their expert training, our locksmiths are also bonded. Why is this important to our customers? When a locksmith holds a surety bond certificate from a reliable insurance company, it reassures customers that their interests and their property are protected. A third generation locksmith, Eric was mentored by his grandfather and father before going out on his own in 1967. His first business was purchased by a large architectural hardware firm in 1970, where he gained experience in all facets of the security industry. Eric reopened his own company again in 1974 and steadily grew Baltimore Lock & Hardware to what it is today, with the assistance of many fine friends and associates. Keith began his career in the locksmith and security industry out of vocational school. Replacing hardware early on, Keith developed more diverse experience in doors, frames, and associated hardware over his 40-year career. Coming to work for Baltimore Lock & Hardware in 1989, Keith became owner of the company in 2008. Dee came to work for Baltimore Lock & Hardware in 1980, and has more than 35 years of experience with the business operations of the company. Dee and owner Keith Scott are happily married. 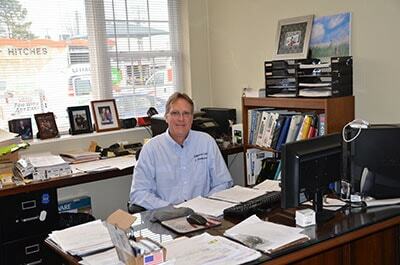 Mike Jordan’s 42 years of experience are invaluable to Baltimore Lock & Hardware. He treats the company and the employees as if it were his own company, as do all of our employees. Mike has been a member of the Maryland Locksmith’s Association and the Associated Locksmiths of America for over 30 years. Carolann is the friendly, helpful face that greets our customers over the phone and in our showroom. With Baltimore Lock & Hardware since 2010, her understanding of the locksmith industry helps us better serve our customers. The Baltimore Lock & Hardware team of technicians consists of four mechanics and one apprentice, who are out on the road serving customers daily. All of our mechanics have been with us for 5 years or more, and most for more than 10 years. The average years of industry experience of our mechanics is 10 years. We’re fortunate to have a great group of employees who work well together and care about the company, creating a family atmosphere. Our customers regularly compliment our mechanics on their professionalism and workmanship. Please use the form below or call us at 410-338-0007 with any questions and we’ll respond within 24 hours. © 2019 Baltimore Lock & Hardware, Inc.